Can there be any material more tactile than wood? For centuries we have loved and stood faithful by oak and elm , beech and birch, ash and mahogany. It's the wood furniture that has stood timeless. I have always loved Tom Schneider furniture- a decade or more ago the DNA tall twists were being used in showhomes as bedside tables of all things. And it's not a dated piece. As someone still awaiting the Arts and Crafts revolution with an Art Deco Twist, excuse the pun, I am happy to see the fabulous pieces they continue to produce. 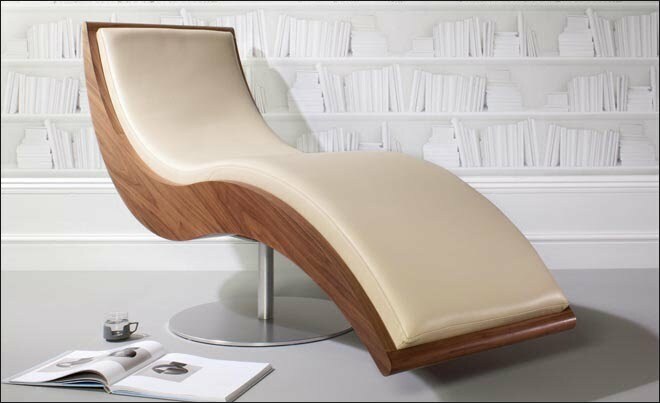 This chaise is just beautiful. Simple frame, modern and traditional materials. Flawlessly made- effortlessly elegant. The above Dune Chaise Longue Rio- Lily white microfibre suede effect retails at £2965.00 excluding delivery.